If you know me at all, you know two things. One, that Wednesday is my favorite day because it is an opportunity to crush on a special female foodie. And two, I am all about the LOVE and look for it in all aspects of life, even hosting a #LOVEfest competition. With that said, today’s honoree is the absolute perfect choice. 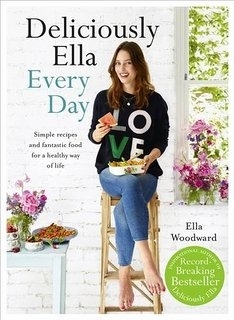 Ella Woodward, or Deliciously Ella as she is most widely known, is one of the most popular foodies out there at the moment, be it male OR female. Lucky for us she happens to be a lovely lady! Not to mention that she is also a big fan of LOVE. In fact, on her new book cover she is wearing a cool sweater (jumper for my UK/Irish followers) with, what else, L-O-V-E on it! I realize we have a couple more days of decadence before the New Year’s resolutions kick in. 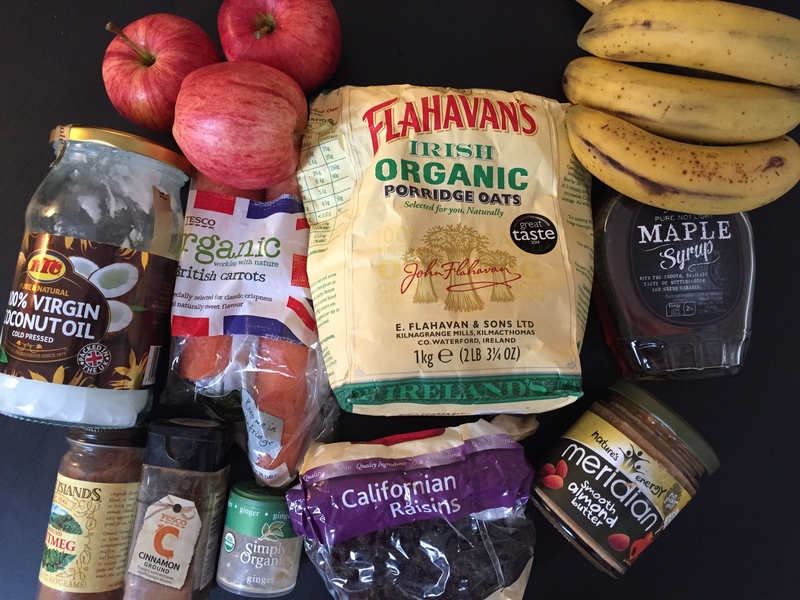 But this is actually the best time to start thinking about how to tackle January with some good healthy food. Ella is just the person to help us with that endeavor. This super sweet and beautiful young lady (and yes she is young, only 23 years old) has had her own journey to clean eating and better health. I thought I was a sugar fiend until I read about Ella’s sweet tooth. But in order to overcome a debilitating medical condition, she did more than just go on the straight and narrow for the New Year. 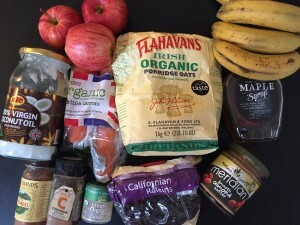 She overhauled her entire eating regime giving up sugar, dairy, gluten and meat. As well, she adopted exercise such as yoga into her routine. From someone who couldn’t get out of bed 95% of the day a couple years ago, she completed her first half marathon in the autumn of this year. She chronicled all this on her blog which garnered a massive loyal following as well as a super popular social media presence. 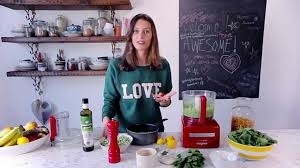 And her cookbook Deliciously Ella has broken all sorts of sales records and won numerous awards. With her second book due out very soon, she also has a brick and mortar in Marylebone that just launched called The Mae Deli. This new venture is with her fiancé Matthew (the M, and she being the E part for the name of Mae’s Deli) is already getting loads of delicious buzz. 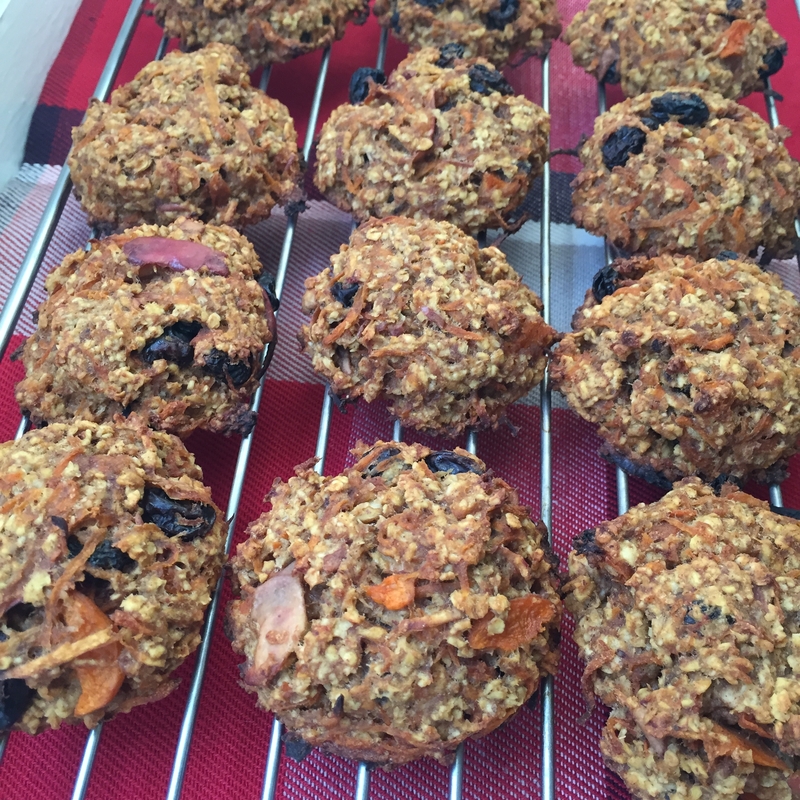 And speaking of delicious, while all of Ella’s food is delicious, I thought I would recreate her Carrot Cake Cookies for #WCW. I think in order to be successful at a New Year’s resolution, I’d better be well equipped or else there is temptation to grab something naughty. 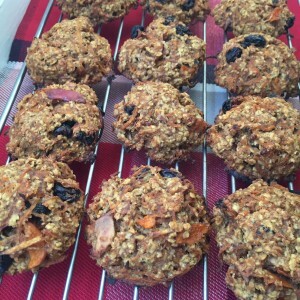 With this recipe I think I can whip out a batch and keep them on hand so when Jan 1st rolls around I will still be able to have my treats without guilt or feeling deprived. 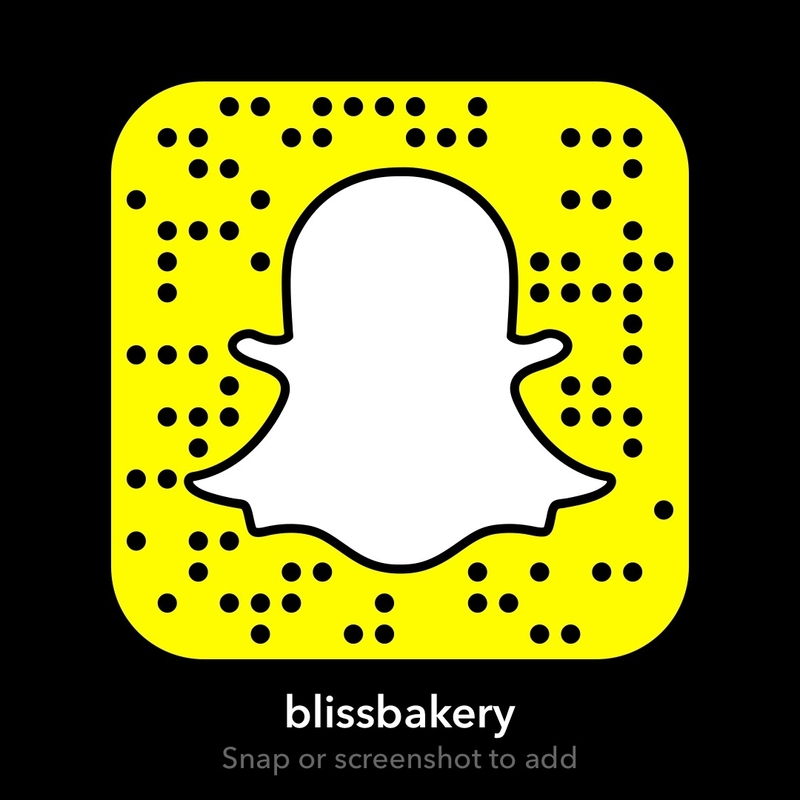 If you want you can follow along with my snapchat tutorial (username: blissbakery) while I make these super simple but oh so good goodies! I am a crazy carrot cake aficionado, so of course I had to go for this recipe. I thought eliminating the cream cheese frosting, so indicative of a typical carrot cake topping, would be a tough one for me. But the flavors in these cookies are so incredible and the texture so moreish you just don’t miss it. While all of Ella’s recipes are plant based, she has stated she doesn’t miss meat in the slightest. I am pretty reliant on needing some protein, especially since I had gestational diabetes both times I was pregnant. I had to inject insulin daily in my second pregnancy so I’m lucky it went away after both of my children were born. Which is why indulging my sweet tooth isn’t so good for me on a regular basis. However, these little gems packed with vitamins are not only healthy but also have the hint of sweetness that I crave. 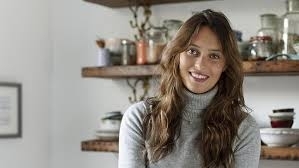 Most articles written about Ella Woodward are going to make mention of the fact that she is part of the Sainsbury Grocery Store family. But I have a hunch that soon enough, any article about Sainsbury is going to mention that they are related to Deliciously Ella and The Mae Deli fame. She has really brought a whole new perspective to how food can be used to heal the body instead of hurting ourselves through the misuse of processed food. It isn’t about losing weight folks it is about feeling better by eating clean! Her natural radiant beauty and vivacious energy is a great advert for her way of life. And though she has included chicken and salmon options at her deli (of which I am grateful) she says it is a place for health and happiness. What a great way to start the new year folks with Ella’s kind of positivity! I hope you take time to learn a bit more about her and support her new book, book signing tour, supper clubs and cooking classes. Ella is a self taught chef and is working hard to impart all her kitchen and nutritional wisdom. But we need to be open to it and soak it all in as well. Thanks Ella for your effort to share your own journey and for inspiring so many others to find a healthier self. Your warmth towards and support of your followers does not go unnoticed. You practice what you preach and do it all with gentleness and grace. You are truly one of a kind and deserve all the good things that are coming your way. Including today’s Woman Crush. Though I’m sure it will continue well on past just Wednesday! Happy 2016! P.S. Tomorrow I am taking my snapchat friends along on a “Thursday Thrill Trip” to The Mae Deli since I won’t be able to do the usual Foodie Fieldtrip Friday because of New Year’s Day. 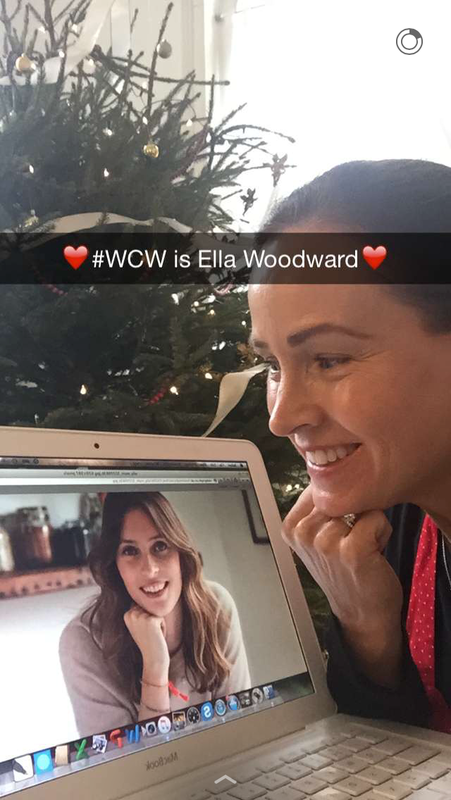 So stay tuned for more crushing on all things Ella Woodward folks! Very excited to see all the healthy food she has on offer there!